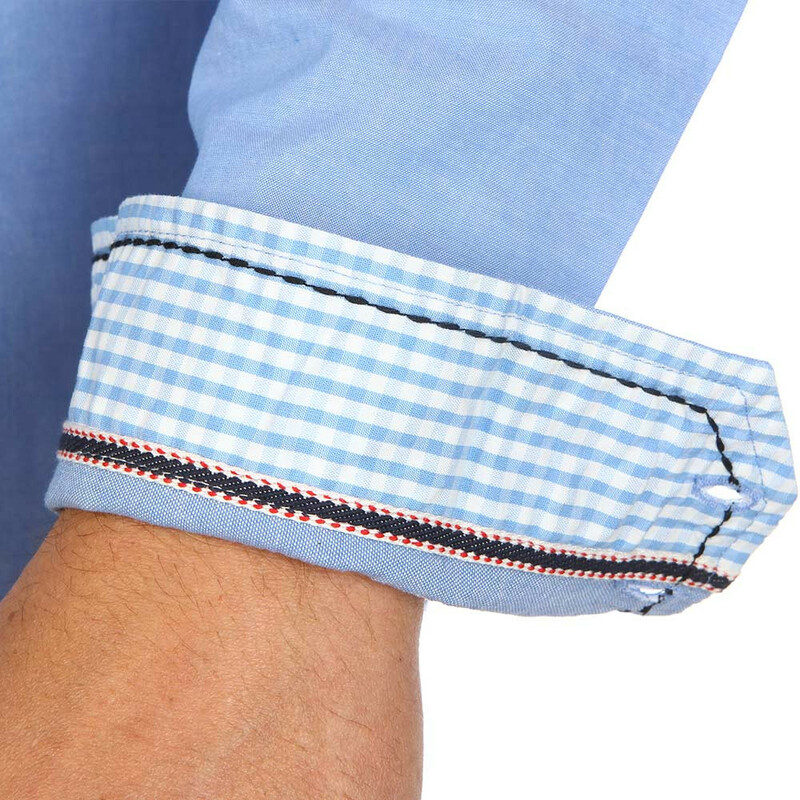 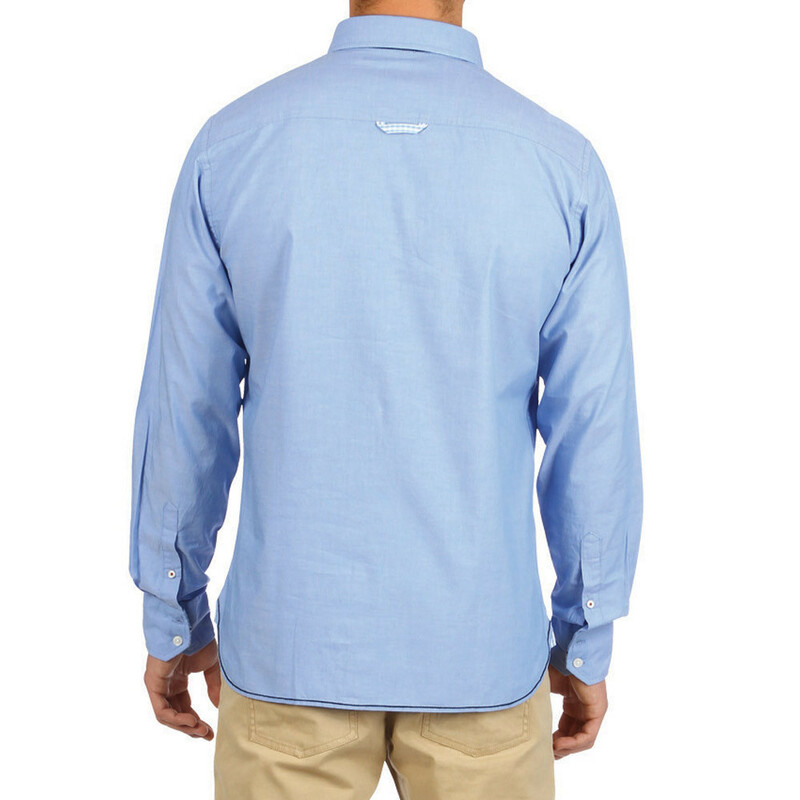 Ruckfield long-sleeved pale blue shirt with navy edging on the button tab and gingham detailing on the inside collar and cuff turn-ups. 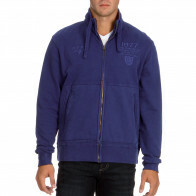 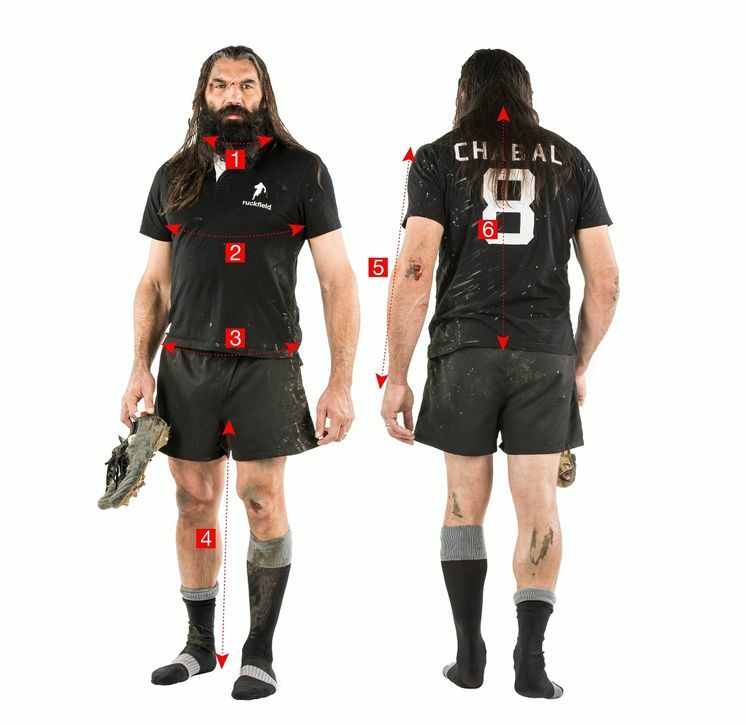 The three rugby teams of France, Italy and New Zealand are represented by their badge embroidered on the left breast. 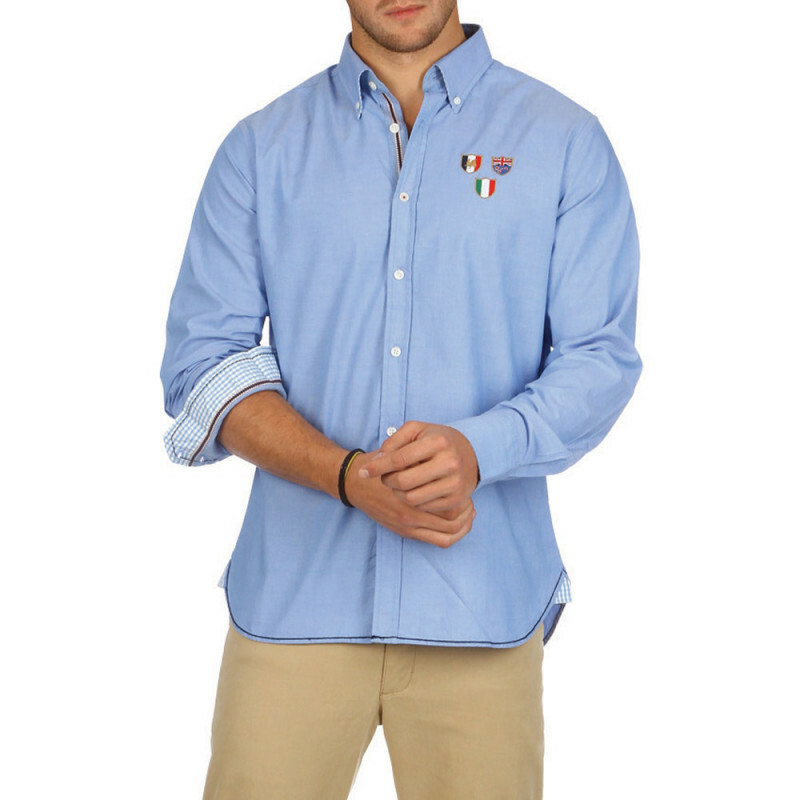 This model is available in large sizes up to 4XL. 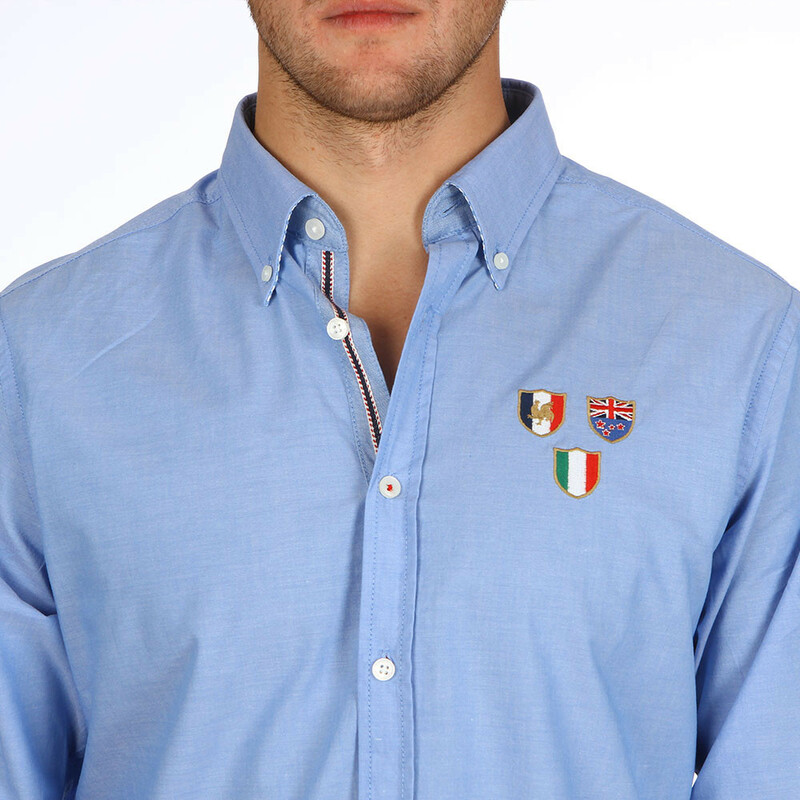 This classic and elegant shirt is in the colours of the French, Italian and New Zealand teams.